For many years there has been discussion regarding the problems confronting our current ethics review system. Commentators have identified numerous issues that threaten the sustainability of Australia’s voluntary HREC system. Various ad hoc solutions to these problems have been posed, but have not resulted in any significant advances. However, in recent years, discourse regarding research governance has become prominent in the Australian research environment. The application of research governance principles is gaining momentum amongst the regulators of research, including research institutions and their governing bureaucracies. We argue that this is potentially the most significant development in several years towards creating a sustainable HREC system in Australia. 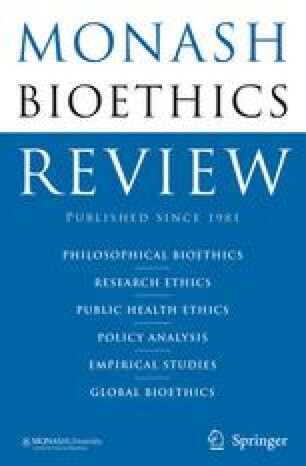 The recognition by research institutions and their governing bureaucracies that the responsibility for overall research governance lies with them, rather than solely with their HRECs, is leading to a range of initiatives which should significantly lessen the burden on Australian ethics committees, and improve their ability to undertake their core task of reviewing the ethical aspects of research proposals.